Maná and other Spanish rock bands have also had an influence on the music of the young generation of bachateros recording in New York City. The most important among these has been the group Aventura, whose music departs significantly from the earlier model of bachata. Aventura’s guitarist uses sound effects which, although rudimentary when compared to what even amateur rock guitarists employ, are far beyond what other bachateros have had recourse to—extensive use of a wah-wah pedal, for example. The group’s vocals are heavily influenced by R&B, an innovation which lead to the unprecedented success of the song “Obsesión”. The song was a duo between Aventura’s singer and a female vocalist, and began to exploit the potential of R&B, with its history of great female singers. Doubtless the ongoing success of Monchy y Alexandra’s male-female combination also had its impact on the song’s arrangers. Although unquestionably innovative, Aventura’s music remains in many ways traditional bachata; except in certain sections of certain songs, the bass and the percussion mark a clearly defined, danceable bolero rhythm. What separates Aventura and the host of imitators they have inspired from the bachateros who came before them is more a question of image. After Blas Durán, the bachatero ceased to be a symbol of poverty and dissipation. As the 1990s progressed, bachateros became romantic singers who were equally appealing to the middle class and to the marginalized audience which the music had always called its own. The bachateros of the 1990s remained, however, quintessentially Dominican, and appealed to an almost strictly Dominican audience - until Monchy y Alexandra began penetrating into a broader market. Before Monchy y Alexandra, virtually the only Latinos who had heard of bachata besides Dominicans were those who lived alongside a substantial Dominican community - in places like New York, Puerto Rico or Providence, Rhode Island. With the advent of Aventura, the image of the bachatero has taken another turn towards the mainstream. The group doesn’t play in the same small venues in which bachateros have traditionally played. One of the advantages of bachata, which has made it so durable over the years, is that a group of five musicians can play almost anywhere, whereas a merengue band, with twelve or fifteen musicians, has to charge twice what a bachatero would charge just to cover their nomina. 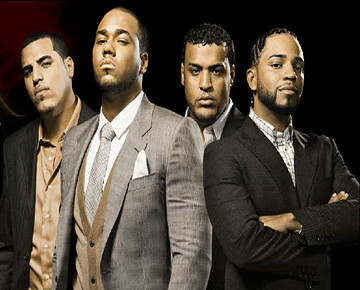 Aventura, however, has followed the rock and roll model of playing in arenas and larger local venues like theaters and major clubs, and the price they command far exceeds what any bachatero has been able to ask before. The way the band dresses and presents itself also reflects the extreme capitalism of the hip-hop culture around which these musicians grew up. Finally, Aventura is representative of a new generation of Dominican musicians with economic possibilities which bachateros like Marino Pérez and Victor Estevez never dreamed of. They have not been limited by language, immigration policy, or simple poverty in their access to the enormous North American market. While they don’t come from a privileged group in relation to North American society, the privileges they enjoy in comparison to earlier bachateros are immense. This different economic perspective is abundantly manifest in the extremely fashion-conscious image which the group portrays. It is too early to judge what may come of Aventura’s dramatic rise. At the time of the meteoric success of “Obsesión”, it seemed as though Aventura’s stylistic innovations would mark the end of traditional bachata, just as Blas Durán’s use of the electric guitar had changed the genre forever. Two years later, however, traditional bachateros like Raulín Rodriguez and Joe Veras have experienced a strong resurgence of popularity, playing songs which demonstrate little of the influence of the young group from New York. While Aventura’s appeal to other markets is certainly stronger than that of traditional bachateros like Rodriguez and Veras, the group’s impact on the genre has not been as profound as many expected it to be. They opened the way for a handful of musicians with similar ideas in both New York and the Dominican Republic, as well as for a number of groups who are unabashed Aventura imitators. These groups have their own audience, essentially different from that of traditional bachateros, and they have drawn interest from sectors of the North American music industry, particularly from rap artists. It remains to be seen whether the New York School’s brand of bachata will be a trend, a separate style with a separate market, or whether it will produce lasting changes in bachata as a whole. Excelente el artículo, una buena clase de historia. Sería genial si puedes hacer una extensión con los últimos artistas, Romeo como solista, Prince Roy, Johnny Sky y otros artistas que han salido en los últimos años. Incluyendo un poco también el cambio de voz, de la particular voz de Romeo (que muchos critican como femenina) a una voz de formación clásica como la de Johnny Sky. Muy buen esfuerzo para trazar esta historia. Soy de Argentina y escucho bachata desde que tengo memoria (hoy tengo 30 años). Creo que deberían también incluir tímidamente, la fusión que quisieron hacer entre tango y bachata. No tanto porque haya sido buena (de hecho todo lo que he visto fue bastante cuestionable, incluido lo que hizo Romeo), pero son géneros que se parecen mucho en algunos aspectos y ya habrán mentes y músicos que logren poder hacer algo interesante pues ha sido ineludible su relación en el baile. Hola mi gente, debemos sentirnos orfullosos de los que han puesto en alto la musica y el naile de la bacata. Como dominicana de pura sepa, no apruebo que los oportumistas, que no son nj siquiera dominicanos saquen beneficio de nuestra bachata y que encima la distorcionan.